ISTANBUL, April 6. /TASS/. 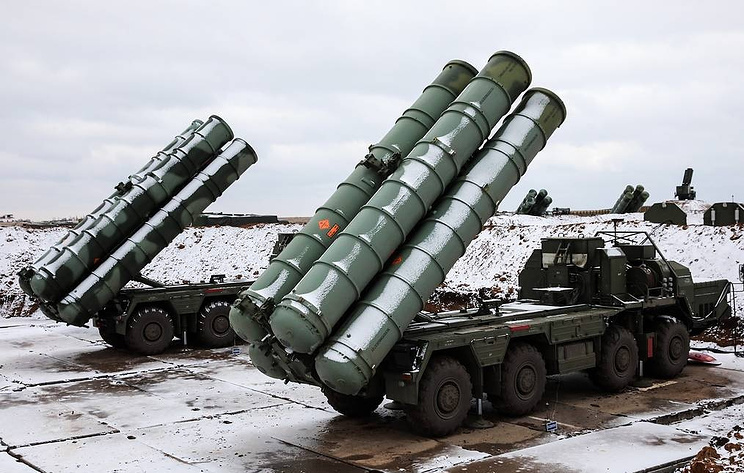 Having purchased Russia’s S-400 missile defense systems, Turkey will ensure security not only of own borders but also of the European Union and NATO member states, Omer Celik, spokesman for President Recep Tayyip Erdogan's Justice and Development Party, said on Saturday. "You know perfectly well that initially we had wanted to buy US Patriot air defense missile systems, but the United States offered unfavorable conditions for a loan. In this regard, we struck a deal with Russia on the S-400," Celik told reporters, among them was a TASS correspondent. "Certainly, we are acquiring them first and foremost to ensure protection of our own borders from attacks from Syria. However, we will simultaneously defend the borders of the European Union and NATO," he stressed. "The S-400 systems will be delivered this July. We will not refuse from them." Celik pointed out that Ankara was forced to strengthen its capabilities in air defense after "certain NATO partners had pulled their units with the Patriot air defense systems from Turkey several years ago." "When missiles were launched into the Kilis region from Syria, nobody offered us anything to prevent such attacks," the spokesman said. Celik mentioned the Western partners’ policy of double standards. "Turkey and Greece are NATO members. Greece has the S-300 and we will soon have the S-400. Why should it be a problem for us? Turkey is a sovereign state and it is wrong to ban us from using the S-400 we are buying," Celik said. It was reported in November 2016 that Turkey was in talks with Russia on purchasing S-400 air defense missile systems. The contract’s signing was confirmed by the Russian side on September 12, 2017 and Turkish President Tayyip Erdogan announced at the time that Turkey had already made an advance payment under the contract. The United States is taking active efforts to prevent Turkey from purchasing Russia’s S-400 air defense systems.